The ARRIVE (Animal Research: Reporting of In Vivo Experiments) guidelines are intended to improve the reporting of research using animals – maximizing information published and minimizing unnecessary studies. The guidelines are produced by the National Centre for the Replacement Refinement & Reduction of Animals in Research (NC3Rs). The ARRIVE website has a large number of additional resources. Want an easier way to fill out the ARRIVE checklist? Kilkenny, C., Browne, W. J., Cuthill, I. C., Emerson, M., & Altman, D. G. (2010). 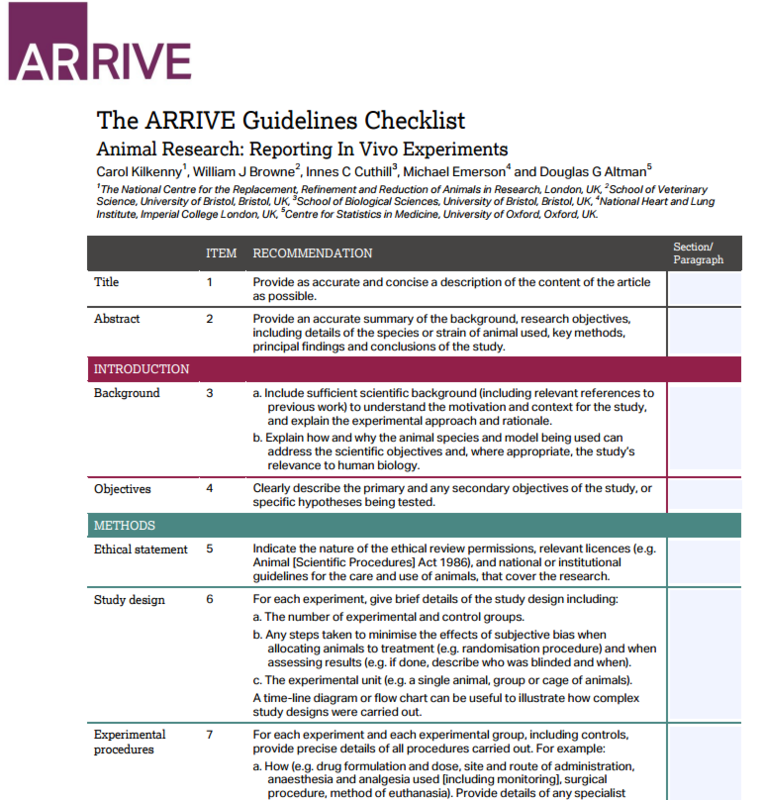 Improving bioscience research reporting: the ARRIVE guidelines for reporting animal research.